When history looks back on the 2016 U.S. presidential elections and considers what it has wrought, there will likely be many effects vying for the honor of most catastrophic. But, it’s a safe bet that way up towards the top of that ignoble list will be the landslide of celebrity halfwits who were inspired to follow Donald Trump into public office. 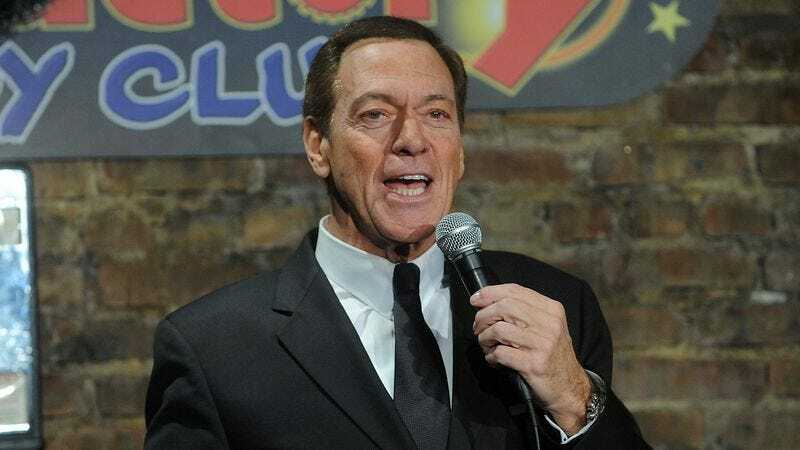 In related news, Joe Piscopo is “seriously” considering running for governor of New Jersey next year. “I’m seriously looking at it,” he told The Hollywood Reporter. “I love the people. I love the state. I know what has to be done.” The 65-year-old former SNL star says that he’ll make his decision by January, and that while he’d likely run as a Republican—for the past three years, he’s hosted the conservative talk radio show Piscopo In The Morning on New York’s WNYM—he could decide to run as an independent. He’s one of those conservatives who likes to pretend he’s a centrist. Now, before we jump to any conclusions that this decision was inspired by the upset win by the former host of Celebrity Apprentice, let’s recall that Piscopo has harbored gubernatorial aspirations since at least 2004, when he was still a Democrat. And even a year ago, when Trump was still a novelty candidate, the Jersey native tossed around the idea, claiming even then that he had a decent shot at winning. Take heed, America. It’s only just begun.